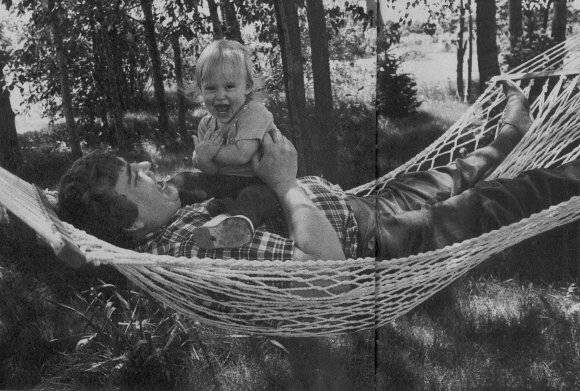 JohnCandy.com - Photos - "He adored his children, he loved to pick them up," says Reiner of Candy (at home with Jennifer in 1981). "And they loved him - he was like a big, cuddly bear." "He adored his children, he loved to pick them up," says Reiner of Candy (at home with Jennifer in 1981). "And they loved him - he was like a big, cuddly bear." He was great!!! I'm so happy that he had children I did not know that until today!!! I always wondered if he had kids because he was so lovable I knew that he can give them so much love I'm so happy to know that he did and I hope they're doing well in life..